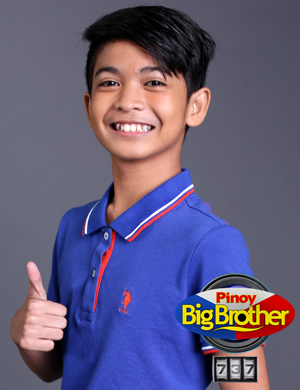 MANILA, Philippines - Ryan James Bacalla, the “Kid Sunshine ng Cebu,” was the third evicted housemate from the Pinoy Big Brother House Friday evening, July 17. The “Teen Mama ng Manila” Kamille Filoteo, "Daldal Darling ng Australia" Ylona Garcia and "Blossoming Beauty ng Quezon City" Zonia Ysabel Mejia were all saved by public votes. Bacalla, 14, got the lowest percentage of votes, 14.63%. Filoteo, Garcia and Mejia received 24.86, 28.35, and 32.16 percent of votes respectively. The young achiever in school known for his excellence in academics and in extra-curricular activities such as dancing, editorial writing, and acting already proved that his 'true color' is not a hindrance to give ray of sunshine to others through his short journey inside the PBB House. On his exit, the admitted 'LGBT' member says "Proud to be me!" On Friday, 'PBB 737' topped Twitter trending list with '#PBB7373rdEvictionNight' among the most talked-about topics.